Hi, I know i've been MIA for a LONG time. I had some health issues and lost my Mojo, when I was feeling better I was so far behind in my life that other priorities took over ! I'm trying to got back into the swing of things-the new SU catty helped ! 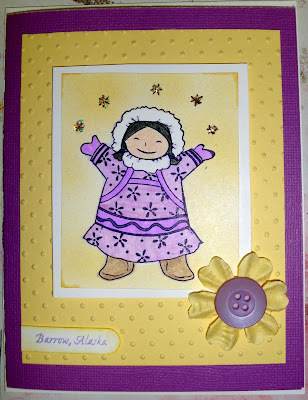 I was super inspired by these stamps a friend let me play with , I believe she got them in Anchorage. Sweet N' Sassy Blog Hop ! 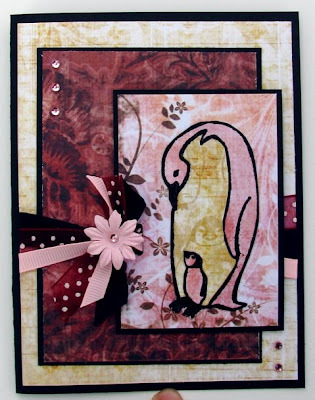 The winner of the Blog Hop candy is Tami from The Journey of Life ! 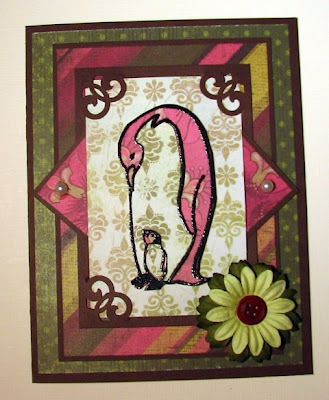 The card was made with Chrissy's new set you can purchase from Sweet N Sassy Stamps ! 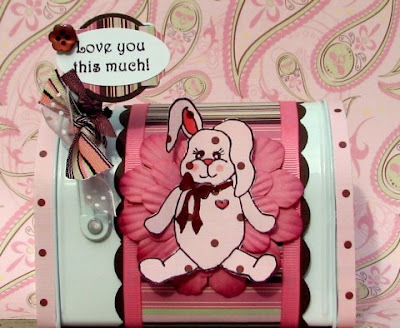 Well, my day is here and I made a mailbox with the Hugs For Jannessa set . I intend on placing this on a table at our next baby shower for people to slip money into . 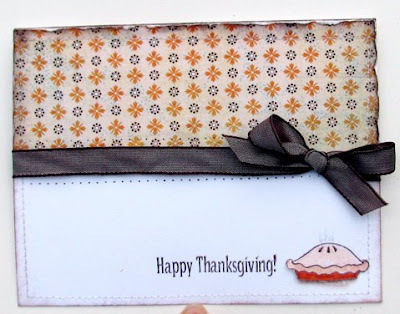 The other two cards use the set called Turkey Day ! To enter to win the blog candy simply leave a comment here telling me what your favorite new SNS set is ! I will announce the winner Tuesday. 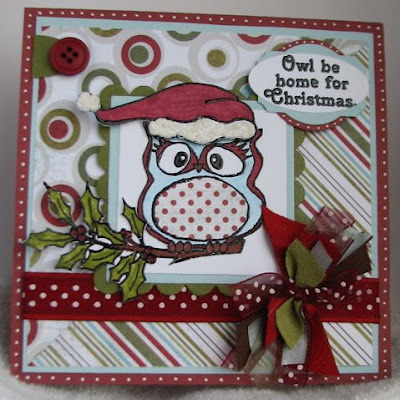 Don't forget to hop over to Korin's blog to see her sneak peeks !! 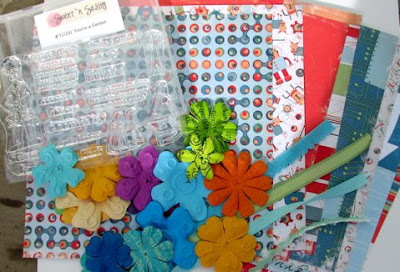 PS, the blog candy includes SNS stamp set You're a Genius and paper selections from Cogsmo from Cosmo Cricket, and also a Prima and ribbon assortment also sold at SNS. 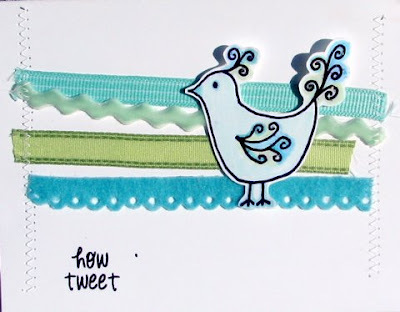 Sweet N' Sassy Blog Hop Starts Today !!! Then head back to the SNS blog for a chance to win an entire set of the new realeases , 7 sets valued at $135 !!! I will also be giving away blog candy on my day ! Christi's Belli Challenge with her own stamp !! 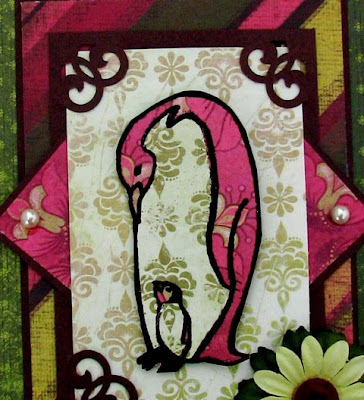 This week the challenge is to use Baubbles and bling , but as an extra treat we used images from a stamp set the Christi desighned herself for Sweet N' Sassy Stamps !This set and six others will debut at out blog hop party starting tomorrow at the sweet N Sassy blog. I will post the scedule later. Check out these other fab. examples. SNS Release Party Coming Soon !!! These are two different takes from the Sweet N' Sassy set Doodlebirds ! The top bird is colored using the Gamsol tecnique and sone TAC papers and the second was very simple using an SEI ribbon pack that Sweet N Sassy sells ! ALSO !!! Sweet N' Sassy will be hosting their first ever Blog Hop and Release Party, stay tuned for more exciting details and prizes ! My boys are forever playing with weapons ! 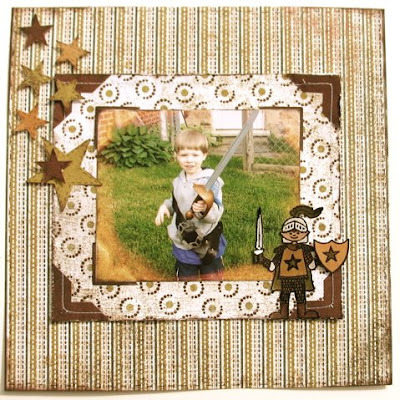 This was put together with Basic Grey paper and the Knight in Shining Amour set from Sweet N' Sassy. I sanded the edges of the photo and then sponged on some ink to distress it. 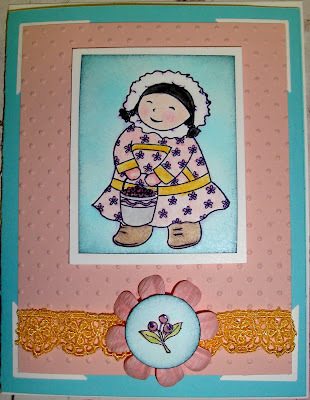 Just a quickie post, This is Elli from Sweet N' Sassy Stamps ! 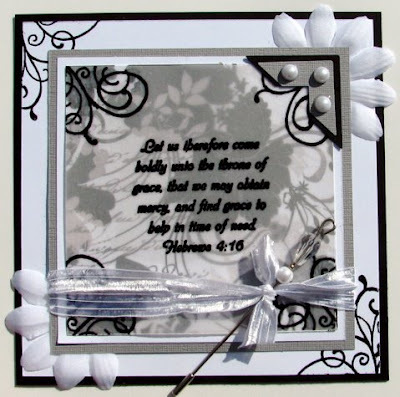 I made this card for a missionary girlfriend to Fuiji who is very ill. Hebrews 4:16 says" Let us therefore come boldly unto the throne of grace that we may obtain mercy and find grace to help in time of need. 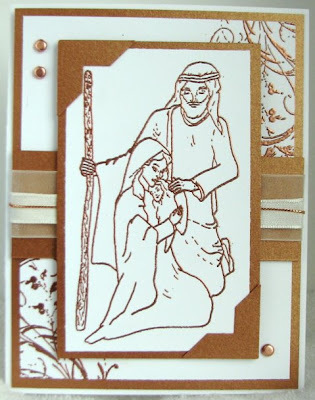 The sun was glinting on the card in such a way that it makes the verse look muddled in the picture. One of my pet peeves is spending time on a card you like and then not being able to get a good photo of it ! For this weeks Belli Challenge we are to use scallops , which I know we all have in abundance. 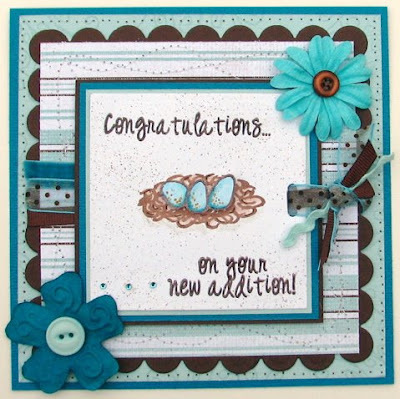 I just got some new Sweet N' Sassy stamps so I chose the nest and eggs from the Doodle Birds Set. 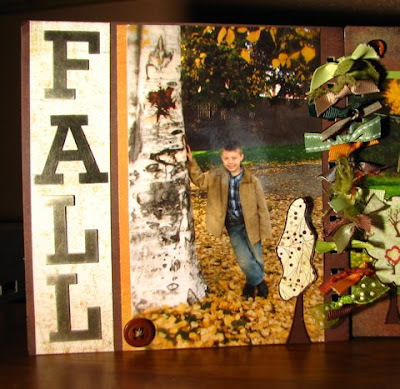 Please head over to Creating with Crissy to enter and check out all the other great ideas below. 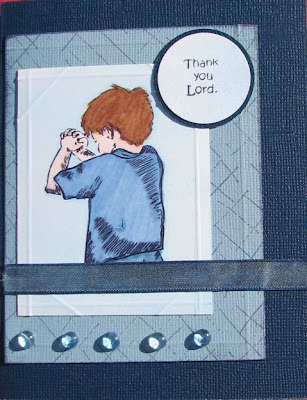 In case you couldn't have guessed, this penguin stamp from Sweet N' Sassy is one of my all time favs. 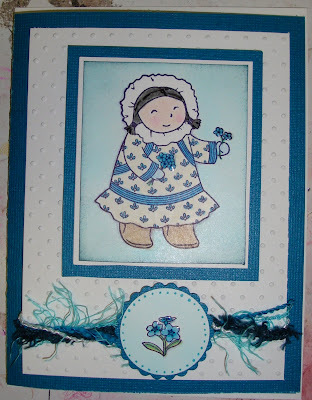 I paired it with two new paper kits from Prima they come with lace and flowers, also available at SNS! This weeks Challenge is t make or reuse a container of any kind. I knew I wanted to try these bags that Cambria T. had demoed on her site. 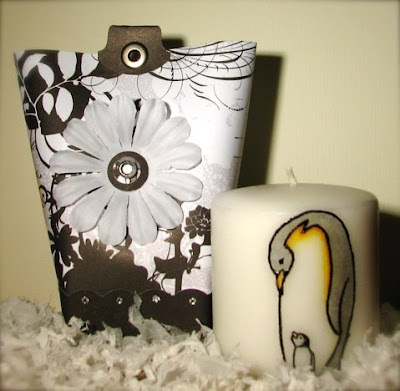 The candle goodie that I made to go inside is made with Sweet N' Sassys Penguin Hugs stamp set. I believe the tutorial for these was on Split Coast a while ago, but I will also be posting the directions on Sweet N" Sassy's Blog. 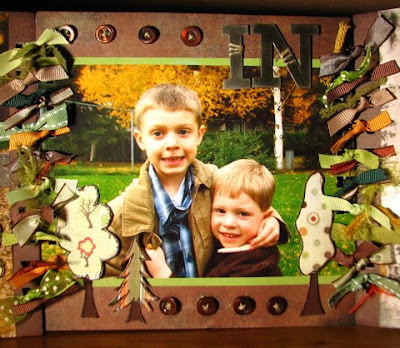 Here is a free standing photo frame I made with Basic Grey's Mellow paper, and the trees from the SNS set Holiday Road. Hello, my name is Laurie Serino. I am so blessed to be a part of the Sweet n Sassy design team ! My husband and I are missionaries in Barrow Alaska. 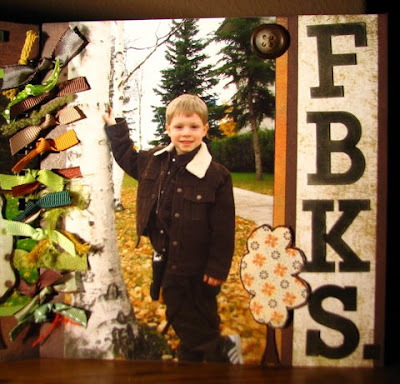 I have been stamping and scrapbooking for five years. 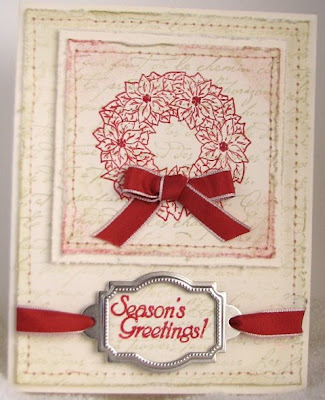 For me stamping is a way to keep sane during the long dark cold winters. It has helped me meet and develop friendships with ladies I might never have met otherwise. 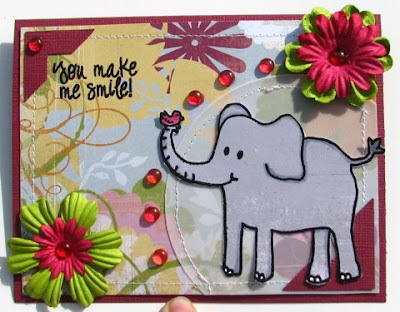 I also love being able to brighten someones day with a handmade card or gift!